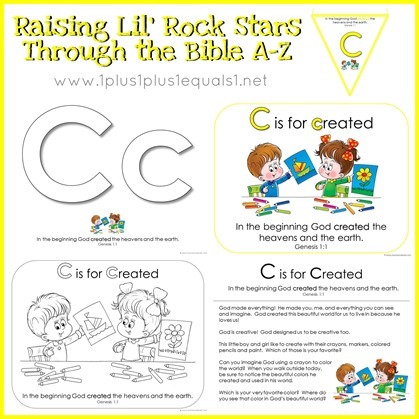 Our Raising Lil’ Rock Stars Bible Verse Printables for the Letter C are available to download for free! C is for CREATED! 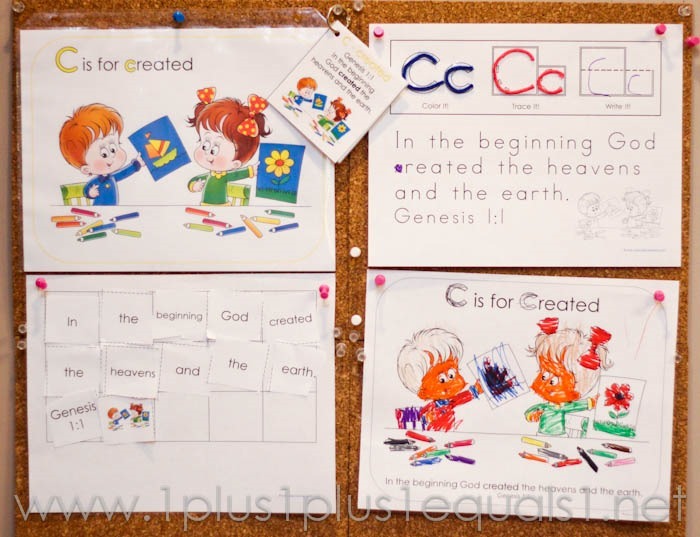 This set is based on Genesis 1:1, “In the beginning God created the heavens and the earth.” This is one of the easier verse to explain to young children, and a shorter verse so easier to memorize! I am using the home bundle with Ladybug as a review, working on the verses again later on. 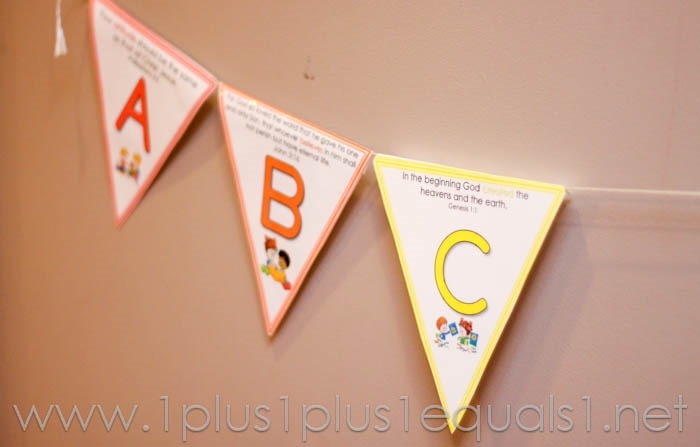 For example, in my class we are on the letter H right now, but at home we just worked on our review of letter C. She is in my children’s church class so she is getting the group teaching and then getting it again at home with me. 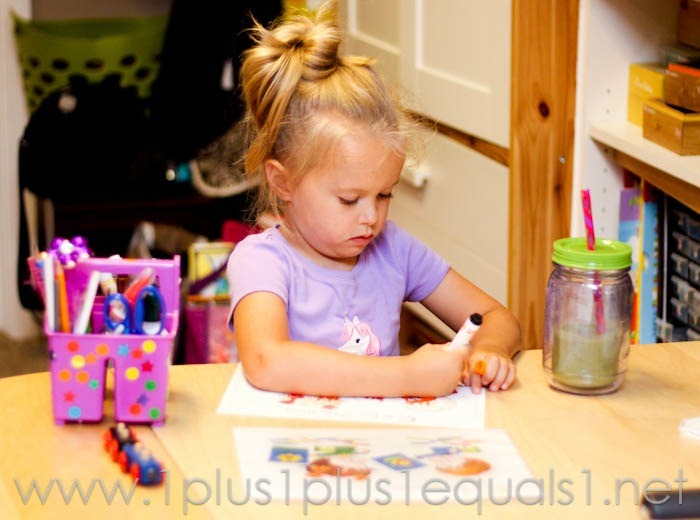 Here she was coloring the coloring page, she LOVES to color. Again, she wanted to copy the poster graphic so you can see it sitting in front of her. She dislikes this page so I changed it up for her and we used glue and string for the first set of letters, she loved this! Then, we used Wikki stix for the second set of letters, and she happily wrote the last set! 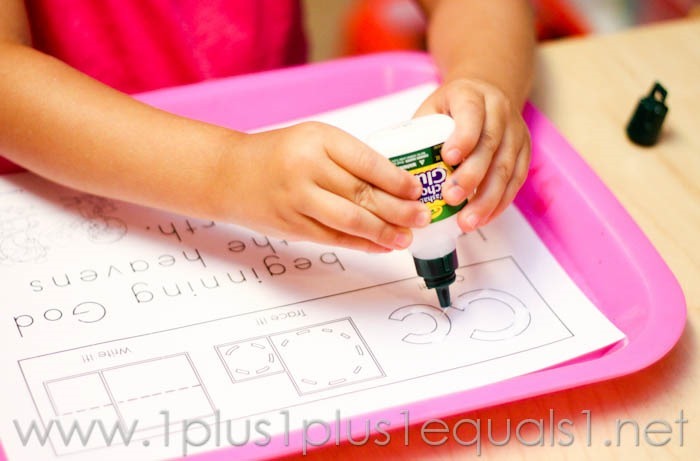 I have been asked how we do this activity so I took a video to share what it looks like for her. 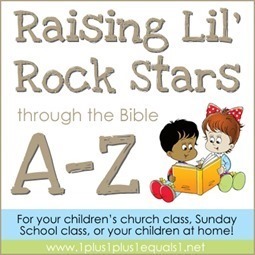 By the time we do this activity, she has the verse memorized which makes it easier. If she didn’t I would read her each word and have her find the match. 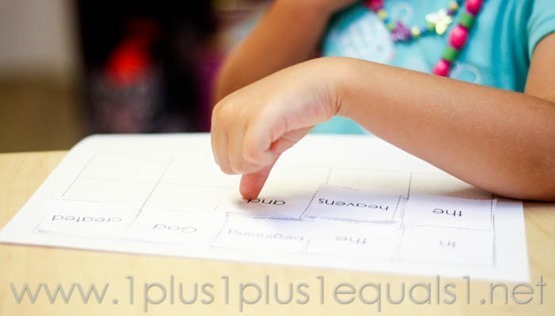 You can easily adjust the difficulty level of this to meet the needs of your child. I shared a clip of this video on Instagram here! And, here’s Ladybug singing the verse for you! The verse tune printables are only available in the bundle but you can hear the tune for Letter C in this video! In case you don’t catch it, the tune is Jingle Bells. 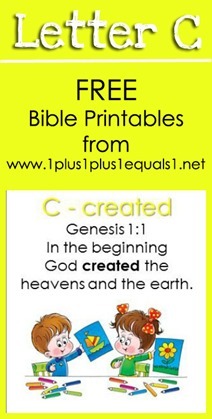 Download your free Letter C printables here! Scroll down until you see the graphic for letter C and click on it to download the PDF file.